Wash and chop the spring onion. Heat oil in a pan and add mustard.After it crackles,add ginger and green chilli. On low flame,add bengal gram flour and roast well till brownish colour.It will be dry and doesn't stick to the pan. At this time,add the chopped spring onion,red chilli powder,hing and saute for 3-4 minutes. Close the lid.Spring onion takes just 5 minutes to cook and reduces its quantity.Add Salt. 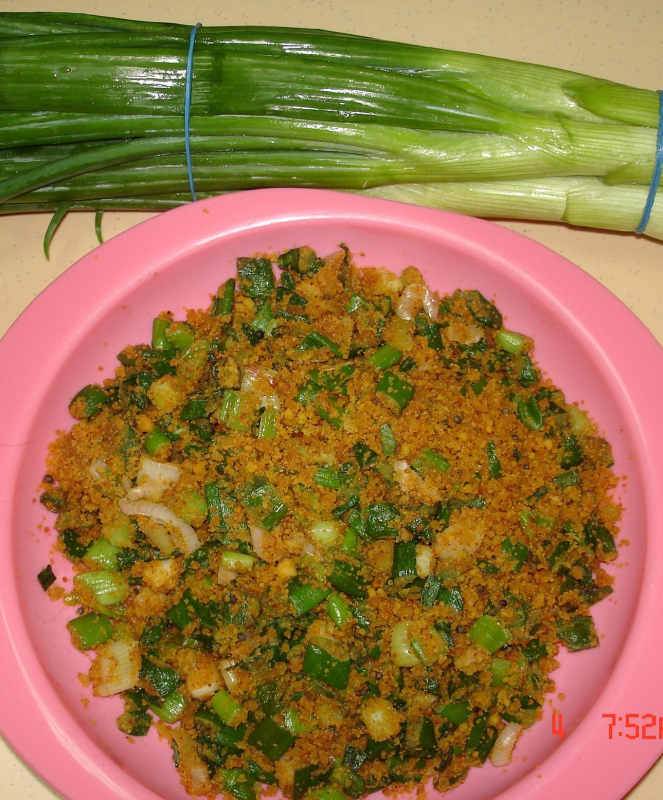 Serve hot spring onion zunka with chapathi. u can make dry or wet zunka with onion and capsicum.